(Natural News) High blood pressure affects millions worldwide and costs billions in the United States alone. Those afflicted with this condition typically regulate their hypertension through medication. Unfortunately, antihypertensive medicine has a wide range of side effects that include headaches, diarrhea, nausea, and lethargy, to name a few. If you’re one of the millions with high blood pressure who’d rather not risk any of these problems, then acupuncture may just be for you. Acupuncture is an ancient Chinese treatment wherein practitioners, known as acupuncturists, stimulate certain points across a person’s body. This is done by strategically inserting thin needles through the skin to manipulate qi (pronounced “chi”) or a person’s life force. 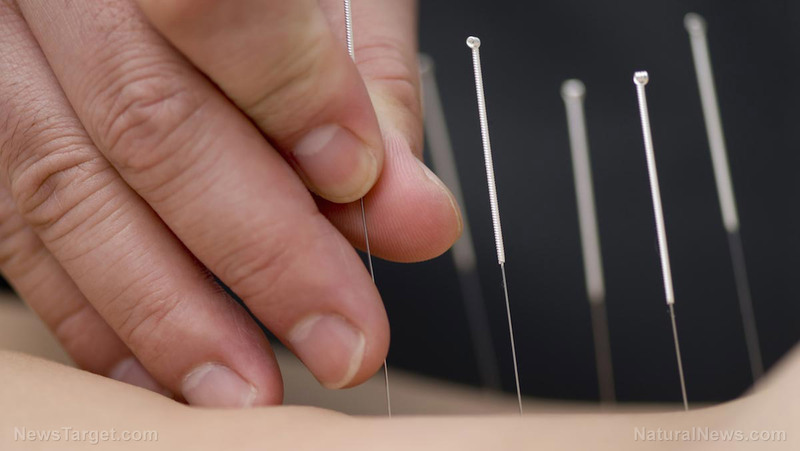 Most people turn to acupuncture to relieve their bodily pains, but acupuncture is known to alleviate other health problems. Similar positive results were noted in another study. For this, the researchers recruited volunteers that weren’t taking medication for their high blood pressure. The participants were divided into two groups and were subjected to electroacupuncture, a variation of acupuncture that courses a weak electrical current through the needles for further stimulation. Those in the first group or the treatment group had electroacupuncture applied to the sides of their inner wrists and below their knees, which are the points believed to decrease blood pressure. About 70 percent or 23 of the 33 participants in this group experienced lower blood pressure. Moreover, the positive changes observed in the treatment group lasted six weeks following treatment. By comparison, none of the volunteers in the second group had noticeable blood pressure changes. Expect to answer a lot of questions: Acupuncturists will ask all sorts of questions to give you the best treatment possible. These questions will cover basics like sleeping patterns, stress levels, and digestive function. However, questions concerning bowel movements, urinary function, and, if you’re a woman, your menstrual period are common as well. Be ready to show your tongue: To uncover the state of your internal organs, acupuncturists will often ask to see your tongue. In traditional Chinese medicine, the tongue is believed to serve as a reflection of your entire body. So be prepared to have an acupuncturist note down your tongue’s color, shape, and other striking features. Go in on a full stomach: Acupuncture sessions usually differ for person to person. Some people who’ve had acupuncture on an empty stomach have experienced lightheadedness and dizziness. There have even been instances of people fainting. Avoid these risks by eating a full meal before the session. What else can acupuncture do for you? Find out by going to ChineseMedicine.news today.